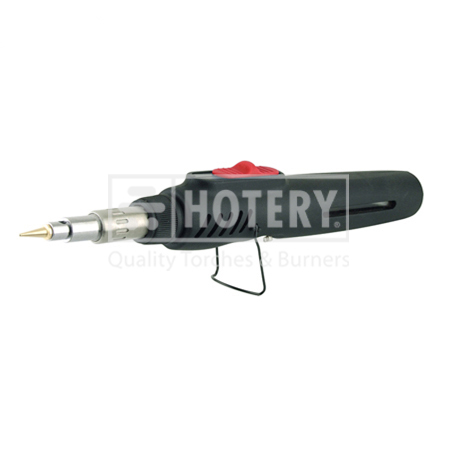 HOTERY PRODUCTS CORP. is the leading manufacturer, supplier and exporter of Gas Powered Soldering Iron Kit in Taiwan which has the high quality and various colors. In order to ensure their longer service life and quality we manufacture these products using top grade raw material as per the international quality standards. We offer these products at industry leading prices making them extremely popular among our clients. If you are interested in any styles of our products, please feel free to contact us. 1. Compact and Ergonomic design, see-through window for gas filling. 2. Ergonomic handle & lightweight. 3. Piezo push button automatic ignition. 5. Wire stand for placing it on the table desk steadily when not in use. 6. Ideal pen torch for a wide array of applications with accessories supplied as a kit form.